Water can quickly and extensively damage your home, even just from a small leak that goes undetected for an extended period of time. Water damage that’s caused by minor leaks often occurs in the ceiling, but the source isn’t always what you may expect. Fortunately, if you’re aware of the common causes of ceiling water damage as well as the indications of water damage, you may be less likely to need services for water damage restoration in Alpharetta. Here’s what you need to know. The first thing to know is how to recognize water damage in the ceiling. The earliest sign may be something as small as a discolored spot on the ceiling. If this stain has no other explanation and if it grows or has a strange odor, there’s likely damage occurring. In addition, peeling paint or wallpaper is something to watch for. More advanced stages of damage may include a bubble or drooping area, which almost certainly means water is pooled on the other side. Leaky pipes in the attic are a common cause of water damage to a ceiling. These leaks can occur due to poor installation by the plumber. They also frequently occur with age when pressure is placed on the pipes from regular use. 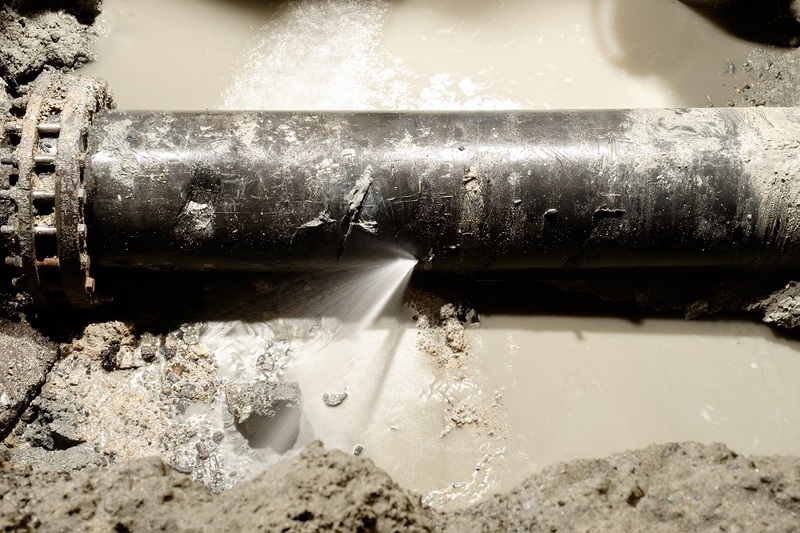 Older pipes may become weak from corrosion and the extra strain from hard water. Problems like clogs and backed up pipes can cause damage as well. Condensation often accumulates around pipes in the attic, but it is worsened by inadequate ventilation. If moisture is unable to escape it will begin to condense throughout the home, especially in the attic. The condensation will eventually pool and cause damage to the ceiling. Many homeowners don’t consider the impact damaged rain gutters can have to the inside of the home. 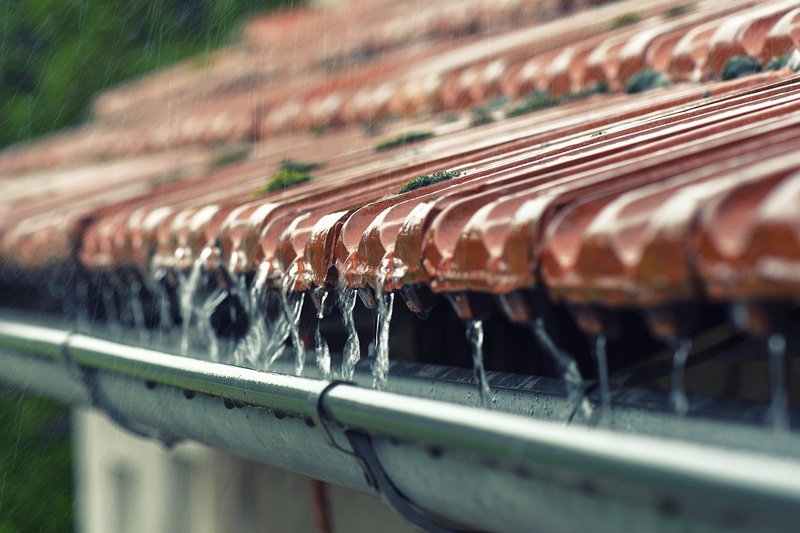 The purpose of rain gutters is to direct excess water away from the roof, but if the gutters aren’t doing their job properly because they’re clogged, the water will begin to pool in the valleys of the roof and eventually make its way into your home. Roof damage like broken shingles, flashing, or fascia can also allow water to penetrate your home’s roof. Any damaged roof components as well as damaged or loose siding can allow rainwater to enter the home, especially when the rain is wind driven. An ice dam on the roof can cause damage the same way a clogged rain gutter or downspout will. The buildup of ice isn’t the problem as much as what happens when the ice melts. The ice blockage often causes the melting water to flow into your home instead of off the roof. Preventing ceiling water damage in Alpharetta requires you to be vigilant about home maintenance. Perform regular inspections of your pipes, attic, roof, and rain gutters. It’s a good idea to periodically hire a professional to inspect these components as well. In addition, make sure your attic is properly ventilated. If you have a whole-house humidifier, ensure that it’s set to the proper setting to prevent excess condensation. If you do discover any water damage, contact Integrity Restoration & Remodeling Contractors LLC right away.